John Passant has packed 58 remarkable poems into the 108 pages of his second volume of poems, Whose broken is this? and other poems. The beach walk takes us from a note of love to a communal moment that ends with a touching lament. In 'The poetry of tax', humour leads to a crescendo of indignation that resolves with a biting realisation. The request of 'Do not play cricket with my soul' weaves a surreal web from the themes of love, life, death and sport. The ironic imagery of 'The butcher reigns' depicts a macabre scene with sinister overtones. 'Sing with me in the rain' combines the contemporary with the historical in a direct and moving address to the reader. 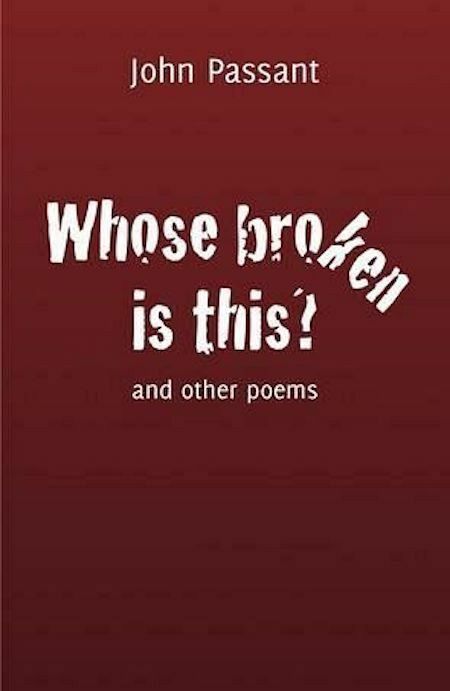 Signed copies of John's newly released second book of poetry, 'Whose Broken is this? and other poems', are available for purchase from the IA store HERE.